Due to the great interest and inquiries from competitors, the ORGA TEAM take decision to create GPS Category ! 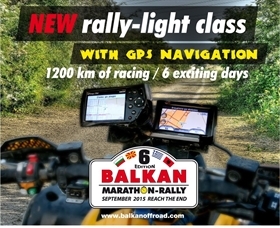 The NAVIGATION will be by GPS track, small stages - 1200 km. for 6 days and it is very good for beginners and people who can not navigate with a road book. You can participate with bike, quad or car 4x4 and each class is required that at least three participants.